Did you think Unity's headless option or using the -batchmode and -nographics command line arguments would be enough, but you ran into lots of issues? Let us fix that for you! Best performance: Even if you launch your application in headless mode, Unity will still load all your sounds and textures. This tool automatically replaces them with dummy assets, saving you lots of RAM and disk space! 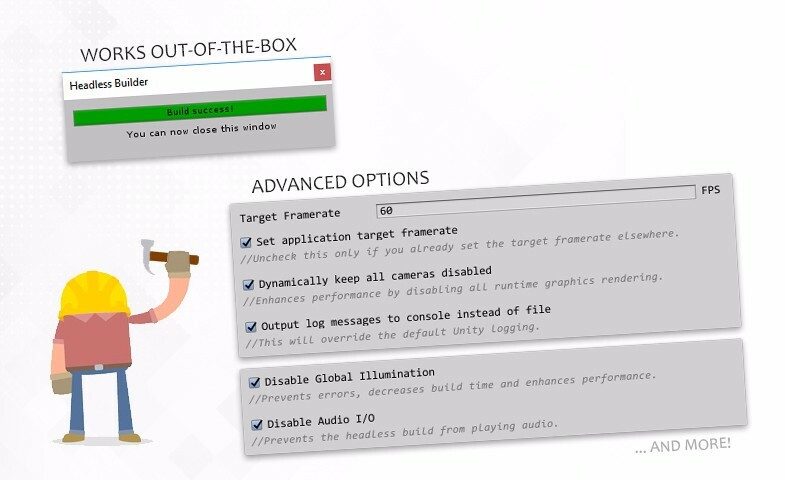 Truly headless: Not only does your application run without graphics, we'll optionally also disable all camera, light and audio rendering! 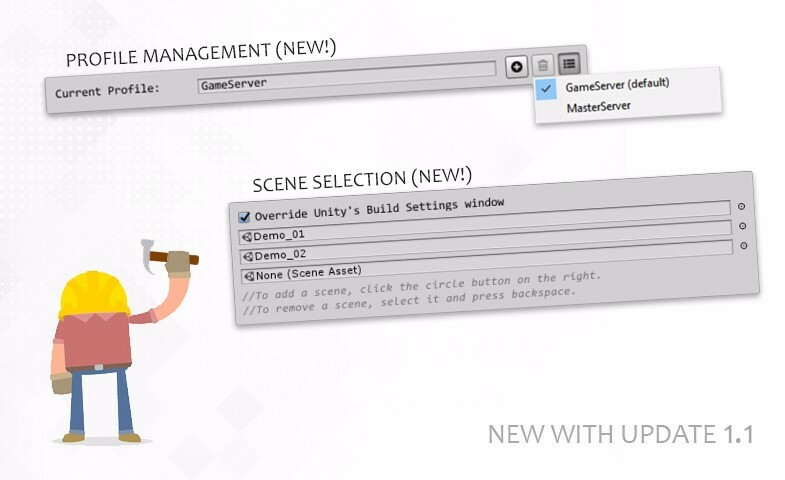 And we can output Unity logging to the console instead of a file! 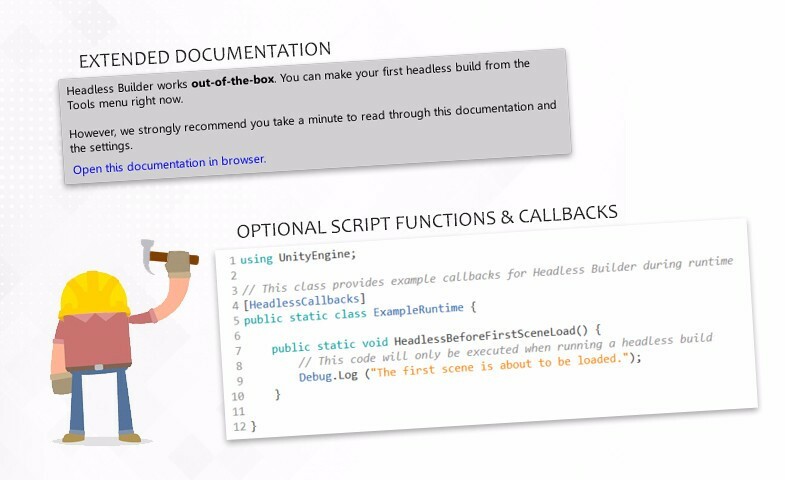 Zero hassle: Works right out-of-the-box and simple script functions, callbacks and define directives are available should you want to execute specific code only on your headless builds! Simply simple: No need to have seperate projects for your regular application and various headless versions anymore. You can do regular builds and headless builds within one project! Advanced options: Highly configurable with extensive documentation and the full source code included! Cross-platform: Build from any platform for Windows, OSX or Linux (x86 or x64). 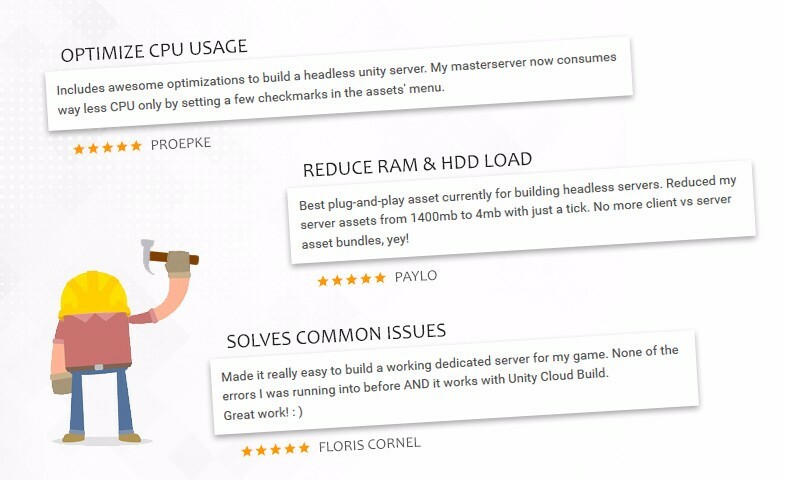 Supports Unity Cloud Build and Batch Building! - "Global Illumination requires a graphics device to render albedo" errors. - "Cannot find card 0" and "Unknown PCM default" errors. - 100% CPU usage issue.